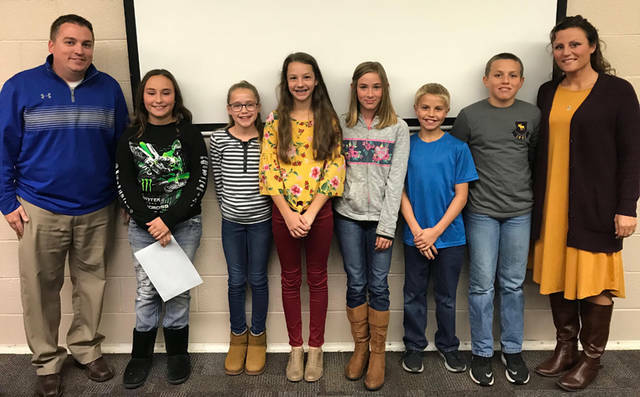 Franklin Monroe Elementary recognized sixth grade students during its scheduled Board of Education meeting on Oct. 15. Students pictured (l-r) include Maggie Polson, Adi Tucker, Layni Ressler, Kori Garber, Keir Boyd and Brady Wackler. Also pictured are the Franklin Monroe sixth grade teachers Brian Happy and Amanda Wackler.